We’ve already touched upon ways to keep cool (and warm!) via insulation and home orientation, but what about your home’s location itself? Where would you like to live? 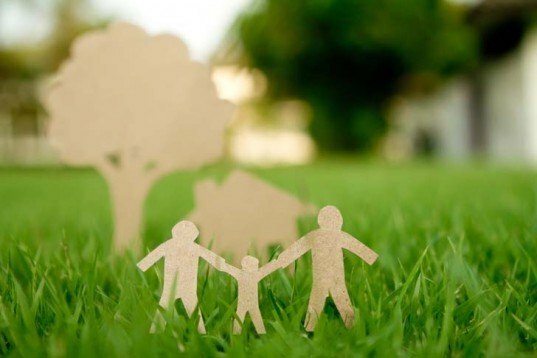 Naturally, aspects such as water conservation, sustainable building materials and how to save energy are great, but let’s take a step back and consider steps needed for making an environmentally conscious choice on where to live. We’ll share a few tips below on “Location and Linkages”; a term defined by LEED as a method of sustainable site selection and development. Hopefully these guidelines can help to reduce energy consumed by Americans in pursuit of cheap land and more closet space across the (seemingly) infinite supply of pasture and native habitats. 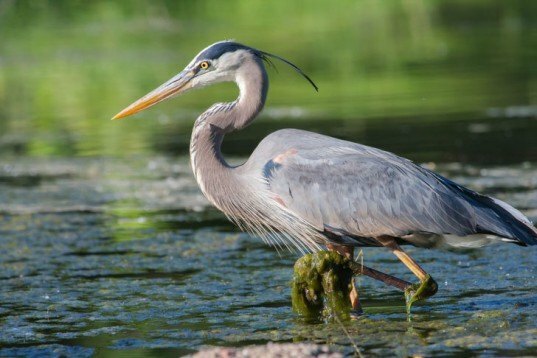 Avoid naturally sensitive areas such as wetlands, floodplains, and quality farmland; it’s a slippery slope from soil erosion to water pollution to habitat destruction, so give careful consideration to the ecosystem you’re moving into. As common sense tells most of us, avoid looking at developments that are a significant distance from the places you need to be. What’s the point in having a nice place if you have to give up two hours a day to your commute? Seek out lots (or even buildings) that were formerly industrial or inhabited, but have become voids in the urban fabric. Most likely, they’ll come equipped with utilities and infrastructure, and they are likely to be near established public transportation. Reinhabiting these voids brings dormant areas back to life and offers a vibrant alternative to sprawl. This is by far the most applicable to those of you living in more urban settings. 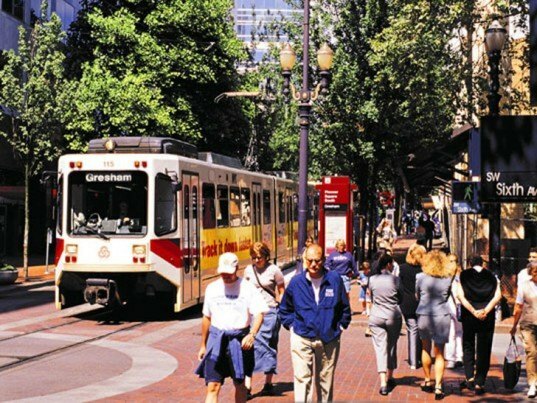 Live close to where you work, live close to where you shop, live close to where you party, and live close to the public transportation that can get you everywhere else cheaply, easily, and without firing up that SUV. This one choice is hugely beneficial for curbing global warming and decreasing air pollution. Its better for your health too. 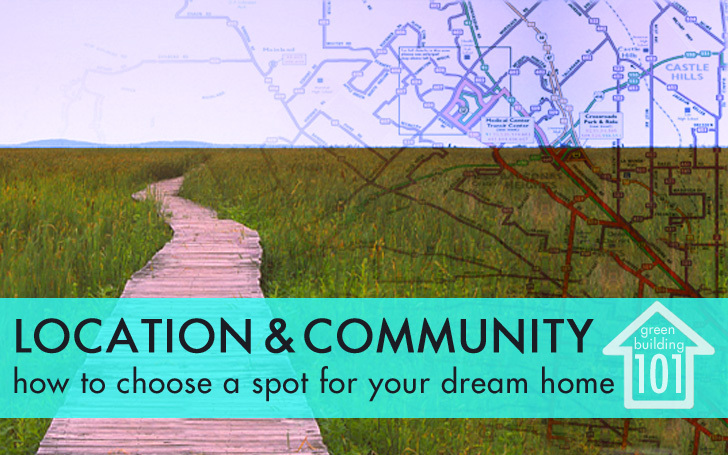 Look for developments that are compact and naturally form close-knit communities where amenities are within walking distance. This isn’t a new idea; many of the Mayberry-esque neighborhoods we love across America have densities of 8 homes per acre or greater. Density fosters safety, good physical health and a higher quality of life. In the near future, entire neighborhoods, not just buildings, will be able to attain a LEED rating. Anyone purchasing a home or business in these developments will have already achieved the previous criteria, further ensuring the broad reach of sustainable development. This may sound like a no-brainer, but if it’s so obvious, why do so many houses from California to Connecticut look exactly the same? The vast monocrops of McMansions indicate that housing developers aren’t considering climate. 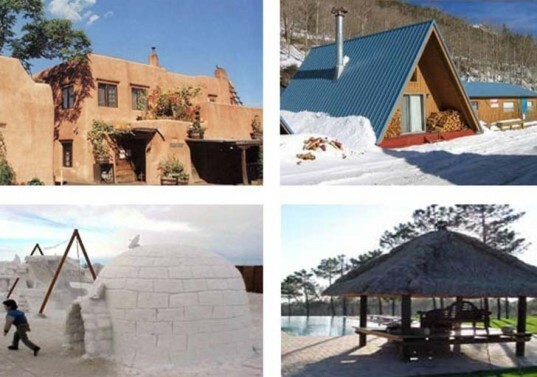 There is a reason that houses in hot, humid climates are traditionally raised on platforms, and houses in the hot and dry southwest are made of adobe. Building traditions developed over time to adapt to their conditions: investigate what works best in your region with regard to weather, heating, cooling, insulation and energy. Now, some of you may be thinking that this is all well and good; you’ve just built your house with all the bells and whistles, so green it would make Al Gore squeal like a schoolgirl. The problem is that you’re in a subdivision which requires a 10-minute drive just to get a cup of coffee, and your nearest neighbor is a quarter mile away, since you couldn’t get away with a full roof of solar panels and a rain water collection tank in the city. Well, if it’s LEED certification you had your heart set on, don’t sweat it. LEED has criteria for existing homes as well as new construction projects, so take a look at their checklists to see what changes you can make to attain certification! Stay tuned for more noninvasive tips for saving water and energy as we continue this Green 101 series. raising the floor in the "hot and humid climates? "...hello, ...damp, mold, mildew, fungus, rot, odor...and all manner of creepy crawlies. all helped by improved air circulation! ...also elevates the windows and doors for more of the natural breezes, if any, and gets more of the structure off the damp ground (higher rainfalls/ general dampness)??? "There is a reason that houses in hot humid climates are traditionally raised on platforms".... what is the reason? It's great to see green building becoming such a hot topic of conversation. The LEED system is a great start but it's only five years old and there are a lot of ways it could be substantially improved. Tailoring LEED for different types of development- homes, neighborhoods, existing buildings, etc.- has certainly been one positive step in the right direction. My blog tracks green projects as they're announced and also tries to provide a constructive critique of the various LEED rating systems. It also contains links to some important green building resources. Please check it out if you get the chance- thanks! I have purchased and am restoring an 80 year old home in the center of Mazatlan, Sinaloa, Mexico where the cost and polution (grade #6 diesel oil powered plant) of electricity is outrageous. Can you help me develop a solar and water plan for this home that won't cost a fortune? Why is solar development still so expensive? and why hasn't it become the primary source for power in countries that have year round sun power free for the harnessing of it? What would help this government care about it's environment more and promote solar efficiency? I'm thrilled to get any ideas at all, I am a new 'greenie" with a biosand water filter project here in Mexico. Thanks. I am a custom builder in St.George, Utah of Southwest Style Homes. I have been building my homes with ICF's and metal framing for the past six years. About a year and a half ago I bought a Spray rig and rceived the training to instal Polyurethane Foam Insulation and flat roof coatinigs. I have enjoyed the great R values and effective R values that this product provides. Since I am in an area of the country where the sun is a real issue I plan for maximum sun control and passive solar gain. Positioning of the home on the lot is crucial for solar and visual benefits. I also take great care in protecting the naurlal vegitation on the lot and only disturbe the area of the building footprint. I enjoy what I do and appreciate your site for further info on how I can provide better value to my cliennts. Thank you. Kaitlin - There is a strong, thriving Green Building community here in NYC. A lot of press goes to the big skyscrapers lately, but there are a number of smaller, sustainable projects that have gone up or are in the works. A great way to be exposed to these projects is to attend one of the Green building tours put on by Green Home NYC - an absolutely fantastic resource. Their website is: www.greenhomenyc.org They also have an "ask the expert" section, where, if you're really interested in buying a brownstone and "greening" it, they may be able to point you towards a few architects who specialize in that. As an example of a beautiful and successful green reno/convert, take a look at the Ice House in Brooklyn. There was a large article in the NY Times a few years ago. Here's the website for an article in Metropolis Magazine: http://www.metropolismag.com/html/sustainable/case/brooklynicehouse.html Also, by virtue of the density and access to Mass Transit, I would wager that the majority of the homes in the 5 boroughs would much of the criteria laid out in the LEED ND rating standard. There is a statistic that people who live in NYC use significantly less energy and have significantly less CO2 emissions than anyone living elsewhere in the country. absolutely terrific article. as a full-time 'leed guy,' and lifelong treehugger, it's really hard to take leed and make it a living thing. as they say over at treehugger.com, it's 'design by excel spreadsheet.' i love that phrase. anyway, thanks, and looking forward to more. Excellent post, am looking forward to the rest of the series! could you please caption all of your photographs and identify where they were taken? Thank you, this article is very helpful. the one thing left out of most housing sustainable or otherwise is soundproofing. This is especially true in multifamily housing. sound proofing is insufficient if you can hear your neighbors from house to house at any time under any circumstances. Doesn't matter if they're having a wild party or are merely sawing up their dinner guests with a chainsaw. If you can hear them, they're too close. some other nits: 1. Yes, I would put up with a multihour commute if I truly loved where I live.especially if I didn't have many neighbors. Over my lifetime, my commutes have ranged from as little as 10 minutes walking to and hour and a half driving. 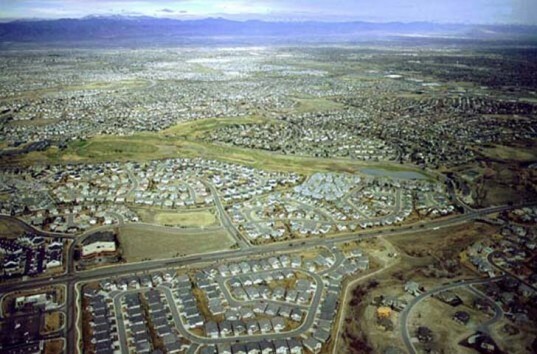 There was no way I was going to move houses every two years to stay "close" to industrial parks or urban centers. 3.the car is your only option if you want to commute in a reasonable amount of time. Public transport always takes longer and is still dead time. 4. only if you are an extrovert. Introverts typically find a close-knit communities exhausting and draining. and while LEEDs compliant buildings are being constructed, most of them are rather pedestrian on the interior and the developers are inflexible when it comes to changing floor plan. To me, a superb house is a box, a well insulated soundproof box. Interior walls can be added, moved, removed as needs change. Nothing should be nailed down except maybe for plumbing, heating and air-conditioning. Did I mention the soundproofing? Really need to have good soundproofing. there's nothing worse than hearing a neighbor's headboard bang against the wall every other night when you're not getting any. I live in New York City, where, lets face it, Green living is the least of people's concerns when building residential or commercial. Do any of you know any buildings that meet LEED-ND standards? And, if I were to buy property (a brownstone), how hard/expensive it would be to convert the space. Great start to your Wednesday column. I'm not an architect and didn't know about LEEDs; I look forward to learning more. This column reminded me of my reaction to a new home that a friend had moved to The home was lovely, but going out for anything at all meant getting on a highway and driving 15 minutes or more. Everyone in the neighborhood was in the same boat and they all drove, never walked, didn't see each other outside and didn't know each other. No one could pay me enough to live there. It all makes perfect sense. 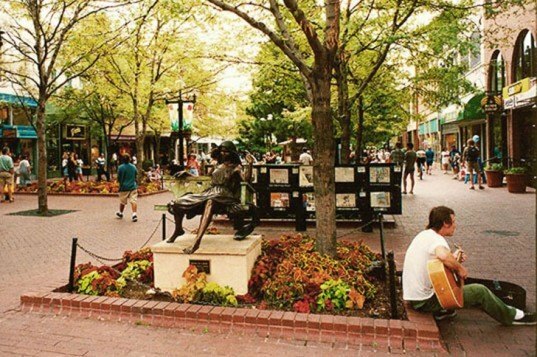 I am a real estate broker in Tulsa, OK whose focus is on sustainable communities. (A little know thing around these parts, but growing in numbers the last few years) I would like all the info I can get, to further promote this life-style. How do you suggest people research what works best in a region when most vernaculars have been eradicated by the housing monoculture for several generations? I've lived in the south my entire life and never knew that homes here 'were traditionally raised on platforms,' since every house I've lived in was on a slab. (I don't know that I ever heard the term 'dogtrot' until I was 38!) If you don't know of any resources to point readers to, please consider a few articles on this topic. I'm guessing more than a few readers would appreciate it! Thanks! Am living and working in Ithaca, NY as an architect in a very small design/build residential architecture firm. Love your website and love the message!!! The writing is clear and concise, the layout and navigation is soothing and elementary. Great job throughout-- keep up the great work and PLEASE PLEASE PLEASE put me on the newsletter and keep me in the loop of all the GREEN NEWS!! !